We realize your time is important. That’s why when you sign up with us, we give the option of how involved you want to be in the design process. Our questionnaire requires a minimal amount of information. In just 9 easy steps you can submit your business details. Or you may choose to provide additional information. Attributes such as what type of layout, color scheme, and written content are just some of the optional details. So whether you’d prefer our experts handle the details or want to be very involved, we have you covered. With the multitude of devices available today it is important that a website leaves no visitor behind. Whether a visitor views it through a smartphone, tablet, desktop computer or anything in-between; information should be clearly presented. Our websites are all built to be responsive. Some web design companies will build a separate mobile template in addition to the desktop version of a website. Since our most basic package includes a responsive design, we took it a step further with our 3-level website feature for mid and ultimate tier packages. This is what separates us from our competitors. 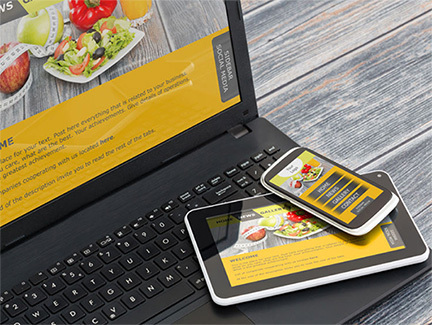 You get a responsive website, but also a separate mobile template that retains a similar look and feel. The perk being is that it is ultra-fast and performs excellently on older mobile devices. The standard desktop layout. Items and widgets can be spread across rows. Usually 3 or 4 at a time. Since there is more screen space it is easy to arrange important information above the fold. The responsive mobile layout. With limited screen space, items stack on top of each other. All assets from the desktop view will still load on the visitor’s browser. The optimized mobile layout. A similar look and feel to the responsive mobile layout with minor differences. Prioritizing assets makes for a super-quick response time. The above screenshot shows a test from Google’s PageSpeed Insights. Without compromising the user experience, our goal is to get your mobile and desktop websites in the Green. Page speed has been confirmed as a ranking factor for desktop sites and recently Google announced it would soon impact mobile sites’ rankings. It is important not to become too obsessed with getting the best PageSpeed score possible. Optimizations such as minification and eliminating render-blocking sources can break a website’s functionality if not tested properly. A balance must be struck between functionality, user experience, and speed. With that being said, there should be no reason to be in the RED (poor) for either your mobile or desktop website. Other optimizations such as image compression and resizing, gzip compression, and lazy loading don’t compromise functionality. However, Some web hosts still don’t bother to deal with them. We are sticklers for these small details and will always go the extra mile to ensure your website performs up to par. 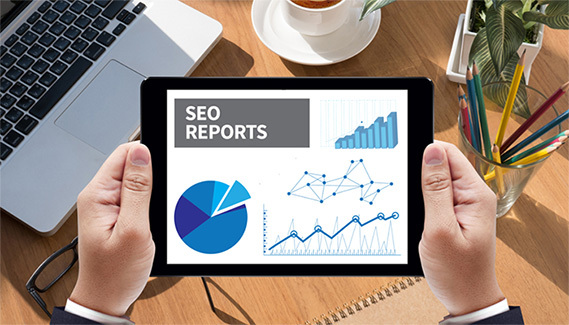 No matter what SEO package you choose, you’ll be able to login into our SEO portal and view the progress of your campaigns. Track your websites’ visitors with detailed statistics and analytics. In addition to our portal, you will receive an email for a Google Analytics report on a monthly basis. If you’re on our enterprise package, you’ll be able to request these reports on-demand. For on-site SEO we adhere to the guidelines as defined by Yoast SEO; the #1 SEO plugin for WordPress. It uses a similar indicating system with red – bad, orange – okay, and green – good. All of your content pages will be in the green for both SEO and readability. Good SEO and readability mean better rankings than a poorly written page. Our SEO packages have a heavy emphasis on Local SEO. With generalized SEO, the idea is to compete for a particular keyword with other businesses. Local SEO also involves keyword targeting as well as a specific location. This could be a city, county, district or anything that defines a geographical area as it relates to your business. These pages target a location and include important services for your business. Each service has it’s own section that makes it easy for visitors and search engines to read and understand. For instance, if your business deals in plumbing. A section might read Drain Cleaning in Wayzata, MN. The bigger companies have an automated process of bulk submitting your business information to online directories. All of our submissions are manually entered for a more natural and organic process. We’ll list your business in the most relevant national directories as well as local and niche directories. Learn more about our listings process. Just about everyone has Facebook these days. Having a Facebook business page allows your customers to interact with you through reviews, posts, and comments. When we create your page it is almost like a second website. Search engines will index it. You can also showcase more photos and videos to give your customers a more personal experience. Google Plus might not have the flair that Facebook does but its’ impact on local SEO is HUGE. 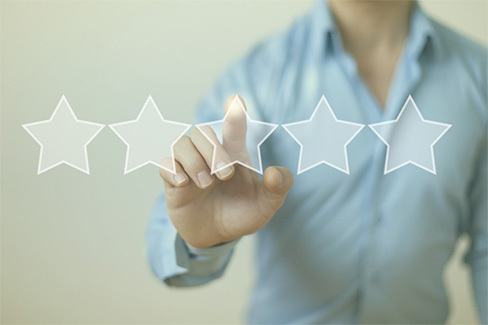 Customers can also leave reviews which have an impact on the ranking of your page. These listings appear directly after the sponsored ads and before the organic results. If you manage to crack the top 3, the visibility of your business will skyrocket. Online reviews can have an impact on whether someone chooses to use your business or not. Lots of glowing and positive reviews will lead to many new customers. Conversely, negative reviews will cause people to look elsewhere for their needs. You can’t control what people say about your service but you can direct that feedback and address it. Our reputation builder allows you to send an email or text message to a client you performed a service for. If the feedback is positive, it can convert into a short testimonial that will display on your website. If it is negative, you have the opportunity to address that customers’ issue. Additionally, after receiving positive feedback, links to your Facebook, Google, Yelp and other review pages become available to encourage a more in-depth review from that customer. You can configure the testimonials on your website to show only a certain star rating. The format used encourages Google and other search engines to display a review schema in the search results for your business. This can potentially lead to a large increase in click-thru ratio for organic results! It is our standard practice to include SSL certificates for all of our new website packages. There is no additional cost to you for this. How is this possible? There is a new certificate authority called Let’s Encrypt. They are a non-profit organization with the goal of making a more secure internet. A lot of the major website hosting and design companies still want to charge you for their SSL certificates. There is no difference in the security between their certificates and the ones issued by Let’s Encrypt other than a shorter expiration time. However, it is very easy to renew certificates and our clients will not experience any downtime due to renewals. It is an automated and seamless process. A comparison can be made to HDMI cables 10+ years ago. Companies would market their brand name cables as superior to ‘generic’ cables to justify the large price increase. When in reality the signal being sent is the same no matter what cable is used. The same logic applies to SSL certificates. There are different types of SSL certificates. Such as EV (Extended Validation) and OV (Organization Validation) that you will see big corporations use. The level of protection is the same but instead of saying “Secure” next to the lock symbol, their registered business name appears. Having the secure/lock symbol in the address bar invokes a level of trust with your visitors and customers. Of course, the data transmitted between your website and its’ visitors is also secure. This allows the submission of sensitive information by customers. Data such as credit card information is safe and protected from network sniffing. If you’re building a new website, there really is no excuse not to have an SSL certificate installed. Check out our post, SSL for all, for more details and how Google is using it as a ranking factor in search engine results. 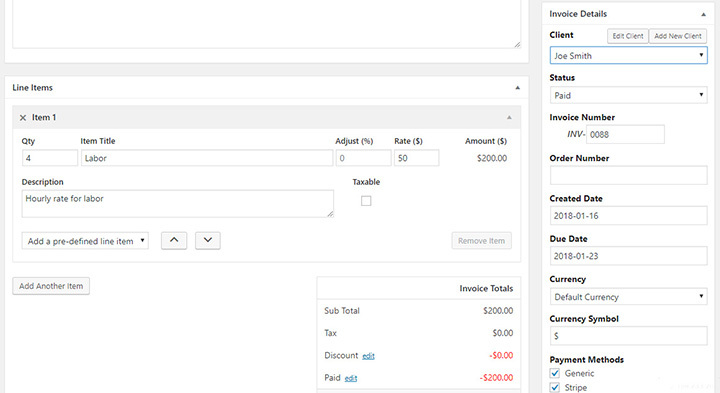 We’re very excited to offer our newest feature, on-site invoicing, to our Silver and Gold website packages. You’ll be able to create, store and send invoices to customers in a professional manner. 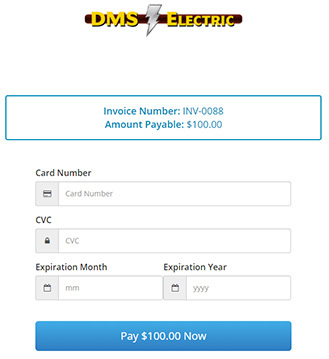 You can email these invoices before, during or after the completion of services. Doing a big job? No problem, a deposit invoice is easily created with the click of a button. You will have your own login where you can manage invoices. It’s also easy to save common jobs and tasks with a fixed price as line items. Quickly add these items to the invoice via a drop-down menu. You can even add a tax percentage or discount at any point. Businesses who perform a service or job for a client on a regular basis will greatly appreciate our Client Login Area. Your clients can log into a portal on your website where they can view, print and pay their invoices. A PDF version of the invoice is available allowing for easy printing and saving. Another great feature is our quote system. Quotes are either emailed to customers manually OR generated by an online form. 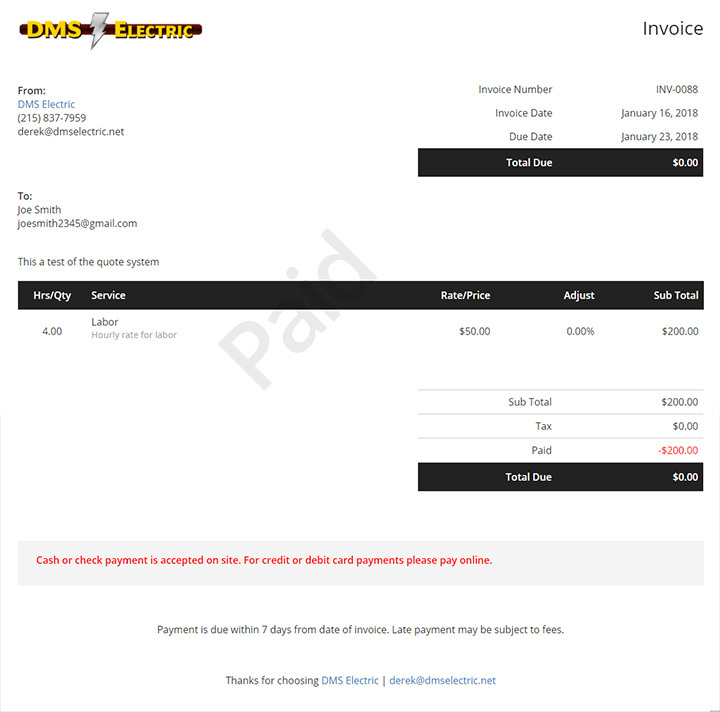 If a customer accepts your quote it can automatically convert to an invoice. The system makes it easy to turn leads into revenue! Check out the photos below of the invoicing system in action. Invoices can also export to a CSV file so that software that supports the format can import it. By now you’ve learned that we offer SSL and an invoicing system. Two features that are essential to processing online transactions. The only thing that is left is to integrate a payment processor. That is where Stripe comes in. Stripe has been around for several years now and provides a gateway for different types of payment methods. The most popular of course is accepting debit and credit cards. They can also process ACH transactions. It even supports Apple Pay! The best thing about Stripe is that they do not charge any setup, monthly or hidden fees. Their maximum transaction fee is 2.9% + 30 cents for debit and credit cards. And we won’t charge any additional fees for setting up stripe on your behalf. You will need to supply your bank routing and account numbers, which you can enter directly. Once you have your account verified, only the last 4 digits remain visible in the Stripe dashboard settings. Not us or anyone else who logs in will be able to retrieve the full account number. When a payment transaction occurs on your website, you can expect to receive it within two business days. Additionally, you may issue refunds when necessary and even set up subscription payments. We appreciate you taking the time to read through our website and seo package features. We hope all of your questions have been answered. If not, please don’t hesitate to contact us. If you’re ready to get started, click order services now. © 2019 · Precise Online Management, LLC.